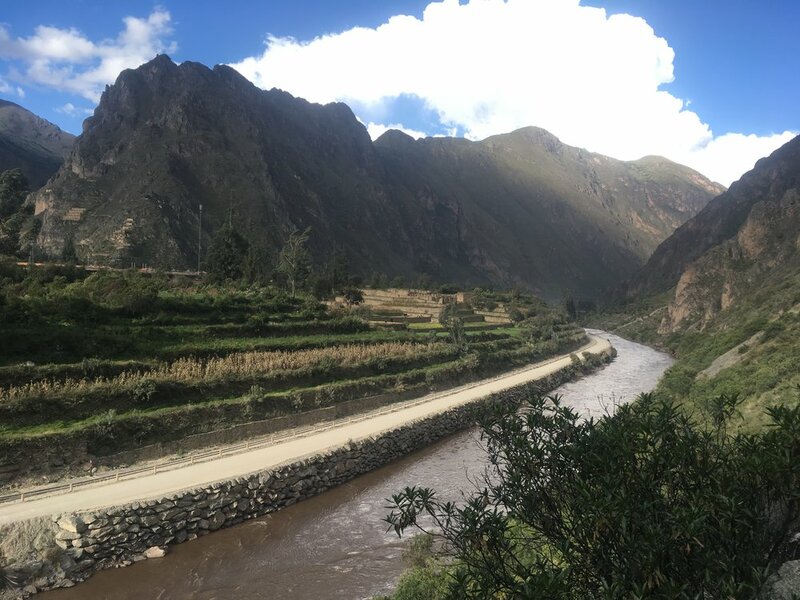 Nestled in the center of the Sacred Valley, 72km (45 miles) northwest of Cusco city by road, one train stop from Machu Picchu and the origin point of the Inka Trail. 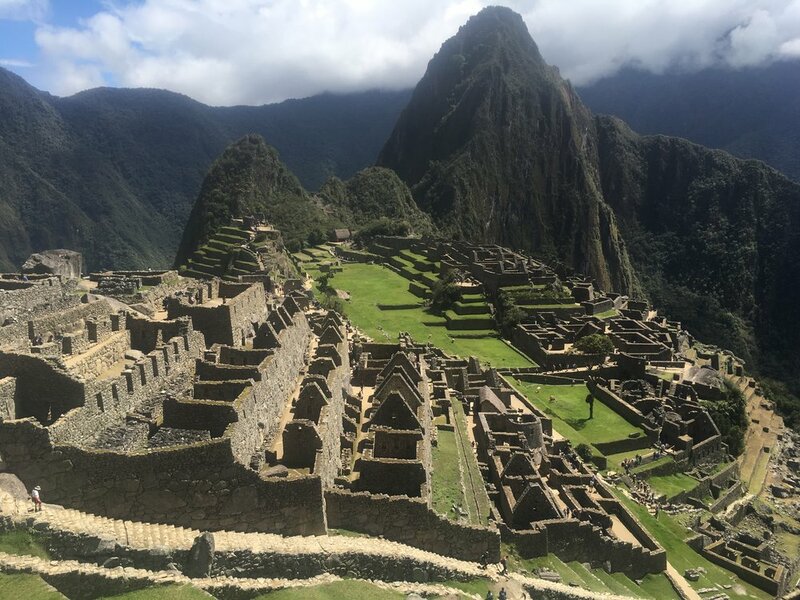 It is at an altitude of 2,792m (9,160 ft) above sea level, a considerable decent on Cusco’s height of 3,399 (11,150 ft) making it a preferable place to acclimatize and avoid altitude sickness. Pinkuylluna is the closest apu (sacred mountain top) in Ollanta. The assent starts from the last main street (Lari Calle) that runs down with side of Alma Amor. This mountain is host to Tunupa, a deity or supernatural being. Tunupa means creature from nature, which protets the entire universe, and is located at the top of a tree that represents nature in all its purity. His face overlooks the town from where he was thought to bestow his wisdom observed from constellations and the movements of the sun, mood and Venus. 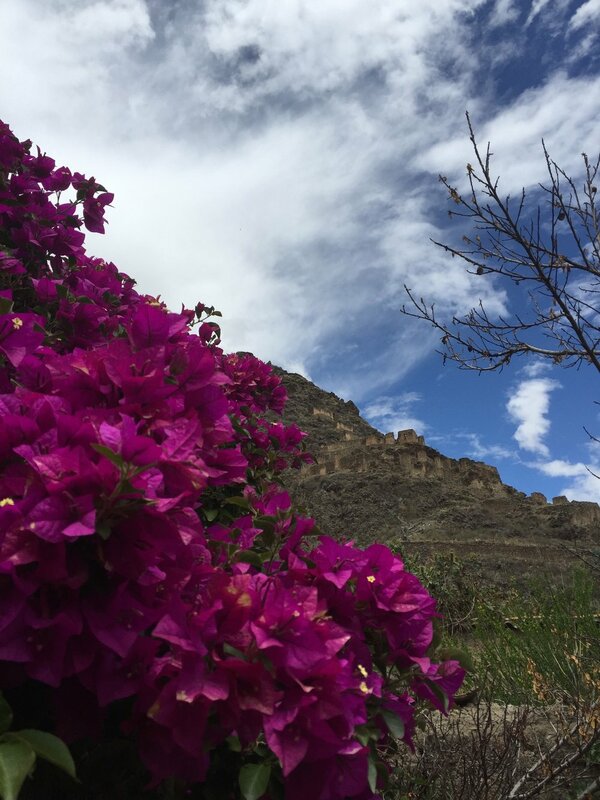 Here at Alma Amor we believe this mountain to be very sacred, it’s easy to feel its special energy and we use it for Reiki attunements, meditation and when we work with the Inka tradition of the 4 elements. During the Inca Empire, Ollantaytambo was the royal estate of Emperor Pachacuti, who conquered the region, and built the town and a ceremonial center. It was home to the Inkan nobility, evidenced by a large, well preserved dwelling called Quoracay. After the Emperor’s death the town passed to his family and eventually to Manco Inca Yupanqui (Inca Manco), leader of the Inca resistance who used it as a stronghold against the Spanish conquistadors. This was the only site where the Inka’s beat the Spanish, flooding the town and forcing a retreat. Sadly the Spanish came back and Inca Manco had already fled to the jungle. Ollantaytambo is full of archaeological structures like astronomic observatories, graneries designed to dry food, storage units, urban dwellings. Perhaps the most impressive it the fact the houses built by the Emperor are still here and you can stay in them! The original part of town has the oldest, continuously inhabited dwellings in south America, some are now hotels and guest houses, others are homes to locals or shops. The cobbled streets are lined with the Inca built irrigation system and it’s a pedestrian only area. The unique, finely cut stone that connect perfectly still stands perfectly in all its finery. Most moderate months are: September threw to December; you will experience a pleasant climate with a good average temperatures, cooling at night but not dramatically. Rainy Season is: December threw to March, although wet, it’s harvest time, with all fruit, berries and vegetables freshly abundant. Dry Season is: May threw to September, during this time the sun is strong in the day but the temperature drops considerably at night. On average, the warmest month is September, the coldest is July, the driest June and February is the wettest. The Inka Trail is closed in February, as are many businesses who tend to do maintenance work and renovations ready for the next season. Pinkuylluna or discover hidden quarries.